Thank you for contacting us. You can distribute the form links by Previewing it from the Form Builder or during editing and getting its Unique Form URL. These URLs can be distributed on many ways such as including it as a message via Email or let them bookmark it or so that they can open it on their browsers or convert it as a QR code and send them via SMS to your staffs. 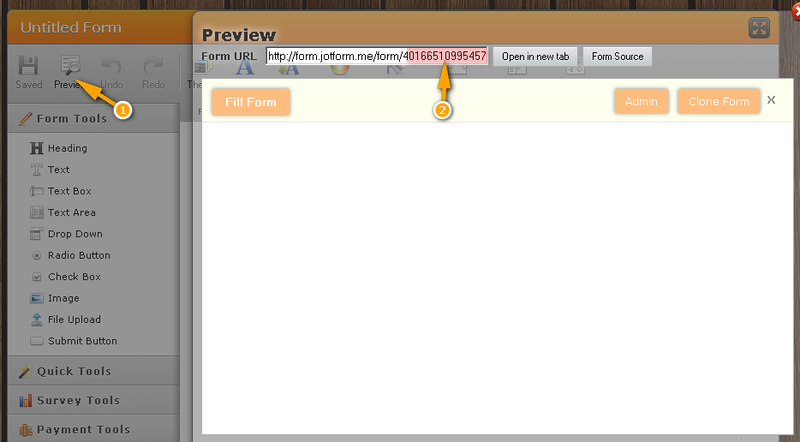 You do not need to share your JotForm account for them IF the intention is only for them to fill up your forms. You can collect the Form URLs this way and distribute them. The highlighted red one is the form ID if you are curious.